Confirmation letters, maps and parking permits are sent to all Extended Learning Services noncredit students upon registration. Enroll one week before class to ensure you receive your confirmation letter and parking permit before class starts. Parking is included in all noncredit courses on campus and at the IU South Bend Elkhart Center. Off campus sites do not require a parking permit. Handicapped parking is available near each building and you must request when you register. IU South Bend provides round-the-clock security. Call the 24-hour telephone number at 574-520-4239 to report a problem or request services. The information and service pamphlet is available on the web at www.iusb.edu/~sbsafety/clery.shtml. 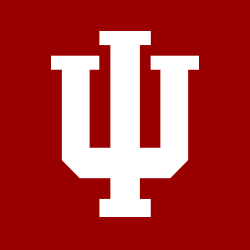 A hard copy of the report is available by writing to Indiana University South Bend, Safety and Security Department, Box 7111, South Bend, IN 46634-7111. The printed report may also be obtained by calling the department at 574-520-4499, or by visiting the Safety and Security office, 2002 Mishawaka Avenue. Contact the IU South Bend Office of Veteran’s Affairs (574-520-4115) for information. Look for “Approved for VA Aid” by the course title. For programs that meet for two or more sessions, full refund for withdrawal more than three business days before the first class. After that, a 50 percent refund will be given if cancellation is received before the second class session. No refund thereafter. Instead of a 50 percent refund, you may choose to receive a 100 percent letter of credit. When you withdraw more than three business days before a one-session program, a full refund is issued. If you withdraw one to three business days before, a credit is issued that may be used toward any Continuing Education program. No refund for withdrawal day of program. You may send a colleague in your place if needed. Payments: Payments made by cash or check will be refunded by check. Allow two weeks for processing. For payments made by credit card, a credit will be applied to the card. Payment must be refunded to credit card used to pay for enrollment.